Heavily influenced by the unconventional teaching methods of a teacher she encountered in Payson, Utah, Muriel Kauimaeole Lee Stevens thrived in academia for more than four decades before retiring. She had a good work style and work ethics, and was well suited to positions like first grade teacher at Woodstock Elementary School in Utah, kindergarten to first grade team teacher at Ewa Elementary School, and teacher at Honowai Elementary School. From 1999 to 2006, Ms. Lee Stevens taught at Hana Elem High School. Outside of the public school system, Ms. Lee Stevens taught at the Space Program and participated in the Teacher in Space Program at NASA from 1985 to 1986, and was a member of the Citizen Ambassador Program from 1987 to 1995. She used those experiences to serve as an aerospace teacher and coordinator of the afterschool improvement program at Honowai Elementary School in 1991 and 1995. Other ways Ms. Lee Stevens served her community include as a member of the Civil Air Patrol, a teacher and music leader at the Hana Branch of Latter-Day Saints Primary, a seminary teacher and single adult representative at Waipahu II Ward, and a spiritual living teacher for the Latter-Day Saints Church. She has also been a choir member for the church and an ambassador for People to People International. In recognition of her efforts, Ms. Lee Stevens was honored with the Aerospace Education Achievement Award from the Civil Air Patrol Auxiliary U.S. Air Force in 1985 and with inclusion in Who’s Who in America, Who’s Who in American Education, Who’s Who in the West, Who’s Who in the World, and Who’s Who of American Women. Ms. Lee Stevens prepared for her endeavors by completing postgraduate coursework at the University of Utah in 1969 and earning a Bachelor of Science in education from Brigham Young University in 1964 and an Associate of Science from the Church College of Hawaii in 1962. 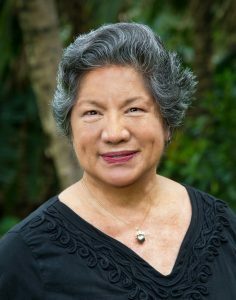 Since 1974, she has enhanced her knowledge by completing postgraduate coursework at the University of Hawaii. She is a certified and licensed elementary teacher in the state of Hawaii. Now in retirement, Ms. Lee Stevens enjoys pursing hobbies like hula dancing, swimming, sewing, baking, and arts and crafts. She maintains affiliation with the World Aerospace Education Organization, Academy of Political Science, Wilson Center Associates, National Education Association, Hawaii State Teachers Association, Association for Supervision and Curriculum Development, and Hawaii State Parent Teacher Student Association.